of proven Zero Energy Design® (ZED) expertise. A basic introduction to ZED is on our website www.ZeroEnergyDesign.com and two-hours of YouTube videos on www.YouTube.com/zeroenergydesign. Full scientific working details of our Thirty Years of Lessons Learned, 850-page ZED eBook, over 3,000 presentation slides from our U.S. Department of Energy Workshop support materials, and thousands of pages of related government documents are available on our extensive Zero Energy Design CD-ROM – The world’s largest single source of Zero Energy Design® expertise. Since Albert Einstein’s e=mc2 enlightenment in 1905, Physicists have understood that energy and matter are both essentially the very same thing. If we could somehow “see” inside a single atom, it is almost entirely empty space – the tiniest of particles separated by enormous distances relative to their size – some moving at lightening speeds to create the diverse things and forces of Nature. A large group of atoms in a physical object appear to have substance, not because of the tiny particles inside them, but because of the forces that their internal energy fields exert. This is what gives humans the perception of touch, hearing, vision, taste, smell, pain, pleasure, emotions, temperature, and our kinesthetic sense of movement / motion / balance / direction. Delve deep within a human body, at the theoretical quantum-physics “Planck’s Scale” level, and what you will find is a whole lot of EMPTINESS and ENERGY. Energy is the essence of everything. Without abundant energy, there would be no universe – not even one single atom as we know it today. To understand our universe, and life itself, we must understand the Nature of Energy, the Universal Laws about the many roles that energy plays, and how energy behaves, at various levels of human conceptual abstraction. As toddlers, we do not need to have a clue about quantum physics in order to learn how to walk and talk, but billions of energy forces are most certainly involved. We don't have to understand everything - Just have workable abstract models of our world. Before Galileo used his new telescope to determine that the Earth orbits the Sun, humans got along in an acceptable way thinking incorrectly that the Sun orbits a flat Earth that was fixed on its foundation, at the center of their egotistical universe. The Catholic Inquisition even persecuted Galileo for suggesting anything contrary to their arrogant non-learning stupidity. They most certainly could not send men safely to the moon and back, or have GPS satellite-based navigation systems. As humanity matures beyond babyhood, energy plays an ever-increasing role in how well and how long intelligent beings live. Abuse of the knowledge of energy creates suicidal weapons of mass destruction, and unsustainable addiction to foolish things. The terrible inhumane first atomic bomb dropped on Hiroshima converted only 1 gram (about the weight of a dollar bill) of fermion mass into pure boson thermal energy (equal to exploding about 15 kilotons of TNT - Now we have megaton bombs). Our current stockpiles of weapons of mass destruction can easily kill all life on Earth hundreds of times over. WHY? Mutually Assured Destruction (MAD) is no defense against suicidal terrorists who want to accelerate the coming of their apocalypse. The 16,500 ton, 560-foot-long U.S.S. Pennsylvania nuclear submarine has been running on one fist-sized nuclear power source since 1989, without needing a fill up. Humans have not yet begun to have a clue about the enormous abundant free clean energy that has been readily available to us, since the beginning of life on Earth. We use our knowledge for weapons of war. Are the secrets about Big Bang Energy hidden from us for good reason, to keep us from destroying ourselves? Who knows? Fermions are physical objects that cannot occupy the same Space at the same Time. Boson forces can. Gravity and light are influencing your life simultaneously, right now. Water is a fermion. If you cross the streams of two water hoses, they interact and push each other away. It is not the tiny particles that make up the hydrogen and oxygen atoms and H2O molecules, but rather the powerful repulsive boson forces that they exert on each other when fermions come close to each other. A toddler thinks it can "touch" things, but, your hand can never "touch" the particles of any fermion. The negatively-charged electrons in the atoms of your hand repulse the negative electron shells around other fermion atoms, so you only think that you perceive "touch." There is actually huge empty space between all subatomic particles, relative to the particle size. Light is a boson force, transmitted on electromagnetic photons. If you cross the beams of two bright spotlights or laser beams, they do NOT interfere or interact with each other (unlike water hose streams). Both fermions and bosons are almost entirely empty space. The structure of their tiny quantum-scale conceptual particles determines if they will repel, attract, or pass right through each other in many various subatomic ways. Visible light can pass right through fermion transparent glass, but infrared does not. The difference between transmission, absorption, reflection and refraction is frequency and particle spacing. This is the science of a greenhouse, or global warming in the presence of excessive man-made atmospheric greenhouse gases. If you focus the energy of a powerful laser beam, or microwave system, on your skin, the electromagnetic bosons will vibrate your fermions and burn you. You can even set things on fire with a magnifying glass and sunshine. Skin burns also take place by coming close to something very cold, like liquid nitrogen. It is the transfer of energy that burns - in either direction. Bosons do act on fermions in many interesting different ways. Einstein showed that gravity from the Sun can even bend light. Photons are supposed to be zero mass, but does gravity's influence on light imply that photons are somewhat like fermions? Modern quantum physics Superstring Theory http://www.superstringtheory.com/ explains that fermions and bosons are both the same thing - continuous looped strings that vibrate at different speeds and frequencies. At the lowest theoretical level, fermions and bosons are the same thing, just like mass and energy are the same thing, for the same Superstring reason. Fermions and bosons are like the difference between red and blue light - Both are the same thing, just vibrating at different frequencies. Red or blue light can be easily transformed into infrared heat with a black-body absorber. If you heat (add enough energy) to the surface of a fermion object to bring it to a high-enough temperature, it will "incandesce" and emit visible light. Thomas Edison's incandescent light bulb showed how electricity could easily be converted to photons of light. Today we do it much-more efficiently with solid-state lighting devices like light emitting diodes (LED's), and other emerging technologies. how we know that our universe is expanding, and the rate of expansion is accelerating, although we do not understand how. We call this anti-gravity acceleration effect "Black Energy" simply because we have yet to be enlightened, but we are intrigued. Scientists, astronomers, and weathermen call the red-or-blue celestial color shift "Doppler Effect." It has many everyday real-world applications, such as Doppler Radar for tornado and hurricane rotating winds, and a Doppler Sonograms for measuring blood flow in real-time through internal organs in a non-invasive inexpensive way. We even have small hand-held portable sonogram technology that is starting to look a lot like Star Trek science fiction medical devices did not so very long ago. Even dolphins can use acoustic energy echolocation to find fish in the dark, each other, and to "visualize" the heartbeat of an unborn baby inside its mother. Dolphins can send a 3D sonar image of something they have experienced to another dolphin that has not experienced it. Energy-based remote visualization has unlimited future potential. Humans have much to learn by studying highly-evolved organic energy systems in Nature. In some ways, dolphins are smarter than humans - their brains are larger than human. Dolphins certainly respect Nature, live peacefully, and communicate much better than human cultures do. Dolphins are literally (acoustically) transparent. Unlike humans, dolphins cannot lie or misrepresent the Truth for greedy gain. Everything they think is translated into sound energy that those around them can clearly hear and understand unambiguously. A dolphin pod develops one shared mind. Young dolphins respect and quickly acquire the lifetime experiences of their elders. Rolling a ball downhill converts potential energy into kinetic energy. Muscles convert chemical energy into motion and work. Batteries can store electrical energy in chemicals, and then release the energy on demand - All simple energy conversions. Fermions and bosons are merely different temporary forms of timeless everlasting energy, from the Creator of the Universe. The form that energy takes can be radically changed, but HUMANS CANNOT CREATE OR DESTROY TIMELESS ENERGY. Absolutely anything and everything that has ever been done was done with knowledge of energy, and will be in the future. We do not have to understand energy at the quantum physics level, but we do need simplified abstractions for each context. The more we know about the Universal Laws of Sustainable Energy, the more man-made problems we can quickly solve. 100 years before man walked on the moon, the fastest form of human transportation was the horse. Our knowledge expands. Energy Creates Life. All knowledge and information about EVERYTHING is stored in forms of energy. Energy is the DNA of the Universe that was in place at the moment of its Conception. 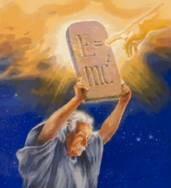 Just like human DNA, our Creator's Laws of Energy control the structure of the entire universe. If we want to know how to live in harmony with Nature, we MUST study the science of energy. "Energy runs through all living networks. All energy is borrowed, and one day you have to give it back." When we die, our fermions give up our mystical life-force energy to the source from which it came. We were created from the dust of the Universe, and we will surely return there one day, in a mere twinkling of an eye. Only the Spirit of God that was within us is eternal. The questions are: What kind of a legacy will we leave behind? Will we live a life worth remembering by our grandchildren? How will the life we lived be judged by God and by our precious posterity? If you do not believe in any form of life after death, then at least you must believe that everyone leaves their own legacy of memories - either good or bad. “We did NOT inherit the Earth from our ancestors to exploit for our own selfish greed. Johnny Appleseed traveled the American new frontier teaching pilgrim pioneers to plant fruit trees for their grandchildren. It is a concept that greedy textbook editors no longer think should be taught to children in our selfish capitalistic nation. Baby boomers are leaving their grandchildren $14 TRILLION in unpayable debt - which is World-Class Generational Theft. Proverbs 22:7: "The borrower is the slave of the lender." We have sold our children into indentured servitude for our greed. Interest alone on our growing American national debt is a BILLION taxpayer dollars a day! What could we do with that money? The PRIMARY reason America is deep in debt is importing 70% of our dirty oil energy, and O.I.L. related war. Our finite human body and brain are merely transient fermion forms of The Great Spirit's Timeless Energy. There are many as-yet-untapped boson forces hidden deep within the potential of complex human cognitive capacity. Business-as-usual, status-quo obstructionists only use a tiny fraction of their intellectual problem-solving potential. Their vision is limited by yesterday's perceived reality, and unable to imagine endless progressive future possibilities. We know for certain that bosons can send and receive high-bandwidth information, as do radio waves and laser fiber optics. Some scientists now believe that Universal Consciousness has both receptors and transmitters buried in our physical brain. We can monitor complex brain waves externally, and even induce brain waves with Transcranial Magnetic Stimulation. TMS energy focused on the right side of the brain can consistently cause some subjects to visualize an image of God. Does our brain physiology support communication with the Creator of the Universe, and Universal Consciousness ? ? ? The answer is becoming less mystical and more scientific as new discoveries are now regularly being made. If we could somehow tune into Universal Consciousness, we could quickly see the importance of praying: "Thy Will Be Done"
We seek solid scientific facts about that which can be demonstrated consistently in a reproducible way (not just fairy tales). Those who have not studied the timeless laws of sustainable energy, are like those who ignore precisely where our Sun is every hour of the day, summer and winter. "Good science is good observation" - Avatar (2009), BUT poor power of observation is virulently-ignorant suicide, especially in a rapidly-changing worldwide environment. Can YOUR architects read a 2,000-year-old sundial? Can they design one from scratch? How can any fool who ignores sunshine design a reasonable, sustainable, clean, green, safe, free-fuel anything? Johnny-Come-Lately USGBC LEED architects are trying to reinvent rectangular wheels, that DOE and ZED had rolling efficiently three decades ago. We must have SUSTAINABLE energy policies and infrastructure in harmony with Universal Laws of Nature. We must STOP subsidizing carbon-fuel and nuclear energy stupidity, and level the playing field for progress. We know that our Creator used energy to weave the very fabric of Space and Time. The proof of this concept surrounds us. All we need do is to study our Creator's many working examples - No new technology miracles are required – just knowledge of Nature's Ancient Timeless Universal Laws of Sustainable Energy. Our future depends on studying what already works well. Technology will improve incrementally over time, but what we need is to overcome the virulent ignorance of obstructionists.
. It is truly amazing that non-learning humanity has survived as long as it has, but overpopulation now has us on a suicidal path. Architects have been ignoring free sunshine since President Carter's Department of Energy subsidized our work in 1979. The intransigent American Institute of Architects now says they hope to design zero energy homes by 2030. OMG, 50 years too late! And yet today, mediocre minds keep paying ignorant architects to design highly-polluting buildings with avoidable energy bills. Their AIA USGBC greenwash laughably calls their current ongoing malpractice: Leadership in Energy Efficient Design (LEED). the unlimited potential of the plentiful clean energy that is available to us as a Free Gift from the Creator of the Universe. For humans to be badly addicted to environment-damaging burning of unsustainable carbon-based declining energy and nuclear fuel is a Serious Crime Against Nature, which may soon cause the 21ST Century Suicide Of Humanity. We can NOT afford to wait until 2030 to start implementing 1979 well-documented, proven, Zero Energy Design ® technology. Current unsustainable energy and environmental trends could result in catastrophic collapse before 2030, or soon thereafter. – Zero net external energy required - Sell our excess energy on the new Smart Grid. We will produce far more clean, green, FREE-FUEL electricity (for sale externally) than we consume internally. shovel-full of dirt to construct the huge million-resident Emerald Eco-City / Zero Energy Design ® enclosure. As described on our previous pages, our energy production will be based on No Compromise, Zero Emissions Never Burn Anything – No wood / biomass, coal, oil, natural gas, synthetic gas, methane, biofuels, hydrogen, or nuclear energy. By design, our first Emerald Eco-City will be a long distance from rising-sea-level coast lines, so we do not plan to develop our electricity source from tidal or ocean-current sources (although they are very appropriate for some coastal locations). Our target location is low-value land in the U.S. desert southwest, where no roads or energy infrastructure exist, and solar energy is more abundant than most other locations. We will plant millions of trees to turn the dry barren desert Emerald Green – No asphalt roads, or any petroleum-or-coal-based infrastructure allowed – All-electric transportation only - No Compromise. In some potential Eco-City locations, wind and geothermal energy may also be cost-effective (but they are not required).